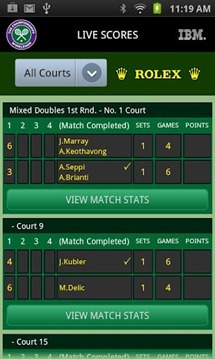 The app, despite its somewhat all-over-the-place UI, provides a ton of functionality, not only giving users information about the games, but also about players – Wimbledon's official app gives users player profiles, video previews, highlight reels, features, interviews and "golden moments" photos. If that isn't enough, players can tune in to three "Live @ Wimbledon" radio channels – one providing general "Daily Coverage" and two channels dedicated to Centre Court and No. 1 Court commentary. For those who are trying to find their way to a physical seat at Wimbledon, the app also provides "Find It" functionality with handy map integration. 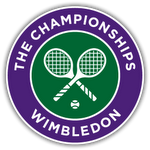 Whether you plan on tuning in to the Wimbledon games from afar, or just need a supplement to the real deal, the official Wimbledon app promises to keep you up to date, informed, and interested, all for the price of $0.00. Just hit the widget below to grab the app.